Potential of polarimetric observations for aircraft icing detection? Improving the forecast of aircraft icing detection? 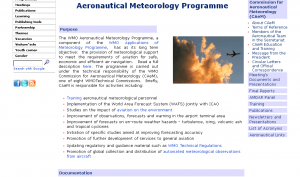 A global survey of aeronautical meteorological service provision was conducted by the Commission for Aeronautical Meteorology (CAeM) between November 2016 and February 2017. 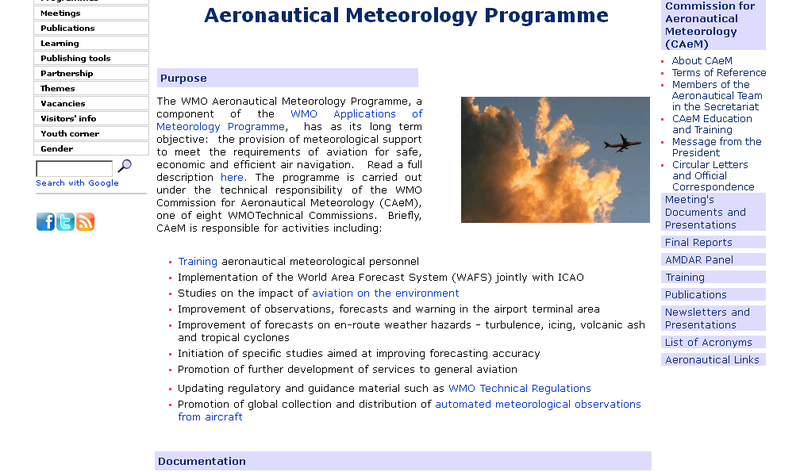 The primary objective of the survey was to establish a comprehensive, consolidated global view on the existing institutional arrangements for the provision of meteorological services to international air navigation, particularly at a national level, taking into account the supporting ICAO and WMO regulatory frameworks. The objective of the AeroMetSci conference is to provide a forum where representatives of the research community, service providers, users of aeronautical and meteorological information and services will have the opportunity to discuss the needs for science and research in support of the current and future aviation transport.